Stretch marks can occur unfortunately in any of us typically due to wear and tear of the skin. Most commonly seen post puberty due to an abnormal mechanical stretch to the skin they are also seen during puberty or weight change. Stretch marks are not essentially due to “stretched” skin – stretching maybe one of the triggers and its actually scar formation which eventually occurs – which is actually what makes it difficult to treat as well. Stretch marks have been an enigma since time immemorial. Different hypotheses on the development of stretch marks have been mentioned in the literature. a) Infection leading to the release of “striatoxin” that damages the tissues in a toxic manner. c) Normal growth spurts seen in adolescence and the puberty. d) Increase in the levels of body steroid hormones – Cushing’s syndrome, local or systemic steroid therapy (abused by body builders) – has a breakdown effect on the fibroblasts which are responsible for collagen synthesis, which forms the framework that holds our skin together. f) Immunosuppression states such as HIV or tuberculosis. g) Associated with chronic liver disease. At what stages of your life are you most prone to stretch marks? People most prone to stretch marks are adolescents (due to their growth spurts) and women going through pregnancy. Almost up to 90% of pregnant women land up with stretch marks. a) Fractional lasers – Probably the only US FDA approved non-surgical approach for stretch mark reduction. According to latest guidelines (Journal of Dermatologic Surgery,2017,May) fractional lasers for stretch mark reduction are considered first line treatment. The treatment is well tolerated and has minimal downtime. b) Fractional Microneedle Radiofrequency – This novel technology has the ability to penetrate deep and remodel the stretch marks. 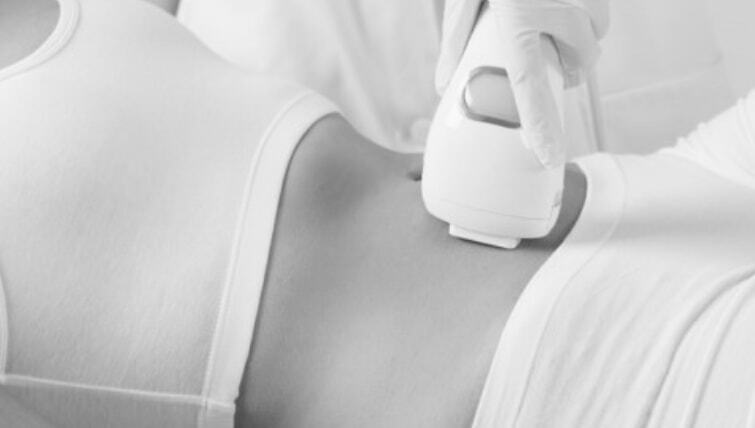 With either of the above technologies the size and dimensions of the stretch mark improve and so does the texture and overall global appearance of the stretch mark. Some authors have tried TCA peeling under occlusion for stretch mark reduction, but one should practice caution employing this technique in Indian skin.